Taking advantage of the fact that hundreds of people sit and wait for hours each day in Highland Hospital alone, we will transform the waiting room into a storytelling space and provide the human and technological resources for patients to tell and listen to stories on-site. At the heart of this effort is an interactive story booth to be built – in partnership with the Alameda County Medical Center – as a permanent feature into Highland Hospital’s waiting room. The booth will allow patients and staff the opportunity both to record their own story as well as view other stories from the community. The booth will ask the user to either respond to either a theme or issue-based question. Booth users – depending on the level of privacy they desire – will have four ways to communicate: video, audio, text and physical journal. 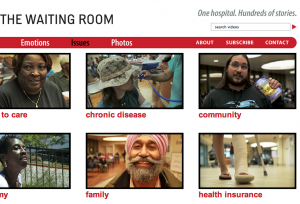 The community engagement project also includes a politically independent, hyper-local video blog that serves as a dynamic theme and issue-based story archive and launch point for dialogue on the problems facing the uninsured. 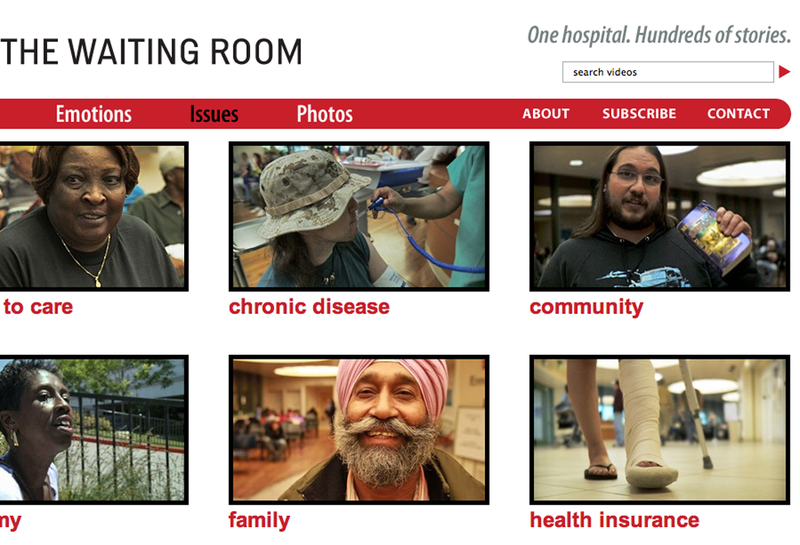 The blog – which includes a collection of produced videos – is a simple, elegant extension of the community itself and will gather insights from the constant flow of people that pass through the Highland Hospital waiting room – and later others in California – over the next several years as the Patient Protection and Affordable Care Act of 2010 is implemented. This mix of user-generated and produced content will be delivered across a variety of platforms including television, radio, public spaces and the internet, giving hospitals, policy makers, journalists and the general public a greater understanding of the evolving relationship between our nation’s health care policy and people’s lives.